Nollywood actor Kunle Remi has denied reports that he was once in a relationship with wife to Banky W, Adesua Wellington. The actor’s social media platforms for last one week have been flooded with comments on how Banky W allegedly snatched Adesua from him. However, the actor has finally broken silence on the issue, saying he was never in a relationship with the actress. According to him, he congratulated privately rather than on social media as against reports. He wrote on his Instagram page @kunleremiofficial ‘MY NAME IS KUNLE REMI and Not ADESUA’s Ex. “Silence,they say is Golden, I have been silent, but some people have taken this as an invitation to take the piss!! I have chosen my words and thought this action through, so read carefully, yes, pay attention I will only say this once. I am not a bitter person neither am I a sadist. ‘If’ you know me, (if you don’t, ask about me from those that do) you would know I am a very positive and I radiate good vibes only, I am not here for any form of negativity whatsoever. My name has been used inappropriately, and it is time I set the record straight. ” I intentionally waited till after the festive of the beautiful wedding ceremony had come to a natural halt out of respect for the couple. 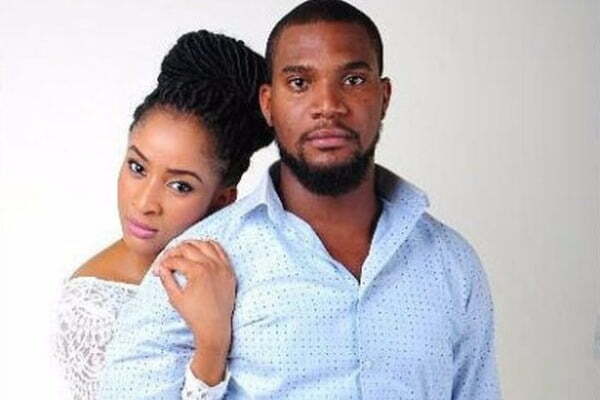 I have not till this present day said to any blogger, or mentioned on any social media platform, or granted any interview admitting or confirming that I was ever in a relationship with the former Miss Adesua Etomi who as well all know tied the knot over the past weekend, neither do I recall her doing the same. “Yet some jobless people cooked up stories and sold it to other jobless people and then jobless readers and commentators believed it and hence the rumors started circulating with no proof other than pictures of us on a Movie set titled (FALLING. A great film by the way, It’s on Netflix if you haven’t seen it.). ” Contrary to the opinion of people who feel theirs matters, I don’t have to congratulate the beautiful couple publicly to prove anything. Some of us would rather do our things privately. You CAN’T believe all you see on social media (some people will still not understand). “Take for example ; Recently I posted a picture of my Beautiful Nephew on my Instagram and as expected, rumors started again without any confirmation that I have a baby. (Quote me) I never confirmed to anyone that he is My Son. So there you go!!. Not all you see or read on social media is the gospel truth. Sometimes Not every one is strong enough to handle it. “If you don’t know anything or if you are not sure, you don’t have to comment or curse people just SHUT UP. “If You don’t talk (in cases like this) you won’t die”. BE SURE BEFORE YOU JUDGE ANYONE, OR BETTER STILL DON’T. THAT’S WHY GOD SAYS HE IS THE ONLY ONE WHO CAN JUDGE US ALL. “Thank you for reading..PS : Next Time you want to talk about me or refer to me. My Name is KUNLE REMI, the charming, charismatic , God Fearing, hardworking , Gentlemen but you can just call me THE ACTOR! !